29 Hours In Glasgow, Scotland. West End. 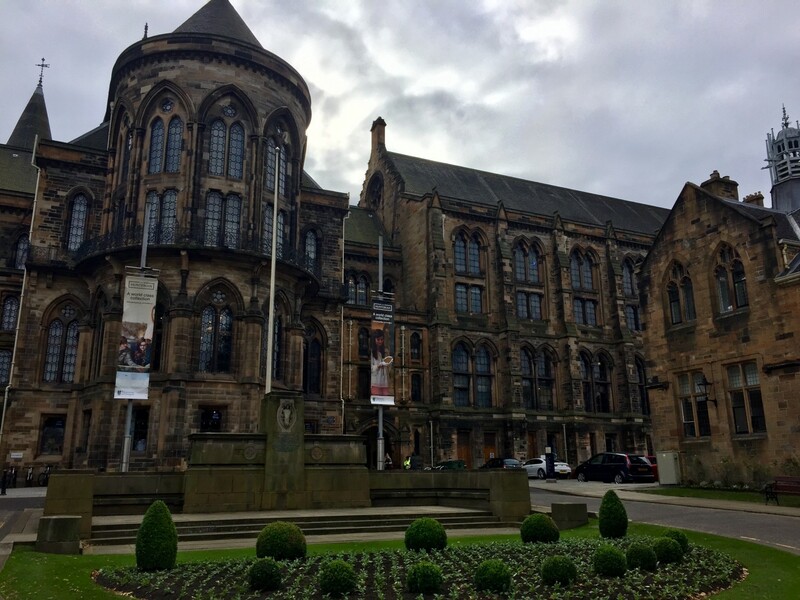 Home to majestic University of Glasgow, which mesmerizes as a more picture perfect architectural structure than storied Hogwarts from Harry Potter. That alone is worth the visit, yet to my surprise I am found so much more. 29 hours in Glasgow, and I was determined to discover the gems. West End was certainly a highlight. But, I could never have found as many if it had not been for Natalie at the http://www.argyllhotelglasgow.co.uk. She started my girlfriend and I off right with an afternoon coffee and pastry at Montgomery’s. This in fact remains in my top three eating establishments in Scotland. Translation, if you are ever in Glasgow and you do not try a pastry, or my all time favorite Eggs Benedict, you are missing out. Truth. The coffee, the staff, the atmosphere, really quite a lovely experience. Moving on, because next up is tasting the Harris Gin at Brel Bar. If I were a college student I would be here everyday. It was such a fun bar and the bartenders, were great! We tried a few local craft brews, but I am not sure I can adapt to drinking mildly warm beer. The cobblestone street is home to many quaint spots that look inviting, but I have to say I think we hit the jackpot here. If you get the chance to try Scotland’s Harris Gin with London’s Fever Tree Tonic Water and grapefruit (not lime! ), it might just change Gin and Tonic’s forever. Let’s get serious. The museums… wow! All the museums in Glasgow are open to the public. Can you believe it? Sure, they ask for a donation when you enter, and we did donate, because the history and art in the Kelvingrove Art Gallery & Museum brought chills to my bones. I could have spent the entire day here, but I had 29 hours, and I wanted to know Glasgow’s ins and outs. So, we left West End. We took a taxi to the Necropolis. The historical cemetery. The views, the walk, and the monuments postcard perfect and something to recommend if you are into that sort of thing. Parched, we hit up a local brewery — DryGate. Which I quite enjoyed. It reminded me of an up and coming craft brewery that was making a statement as a world class “local” competitor. Time was running out, and there was still so much to do. Dinner. Dinner was at Fanny Trollope’s. This was more interesting than amazing. What I can say, is I felt I was walking into an eighties dance club, and once inside felt like we were part of the Romy and Michelle cast. This is not a bad thing, it was more of a not sure what I just walked into. The vibe, eclectic. I ate rabbit lasagne, which I can’t say I have ever experienced, and for that they win points for standing out from the traditional Scottish dishes served across the country. Ok, dinner was done. It was off to the downtown train terminal area. Where everything was happening. Having avoided it during the day, because this is where the night life was… and indeed I had made the right choice by heading straight to the Pot Still. This traditional pub was the place to go for Whisky. Packed to the brim, I made my way to the bar, where the bartender took time to taste six different whiskies with me. And since my girlfriend was not drinking, I quickly made friends who helped discuss the spirits in detail. They pride themselves on their Scotch, and frankly they should. At heart, it is no secret that I am a champagne girl, so when I found the Champagne Bar (located in the Grand Central Hotel), I had to go. It had an elegant feel, and the champagne was good, and before long I realized we had been going non-stop for 16 hours. Returning to the Argyll, near West End, we got some shut eye, before finding the most charming tea spot the next morning. The Hidden Lane Tea Room. It was the most darling place I think I have ever seen, and completely off the tourist path. Driving into Glasgow, I did not think I would enjoy it. I don’t know if I will ever make it back, but what I know is for the 29 hours I was there, I wanted to take in the experience and turn off the iPhone. Meet the people, understand the culture, because Glasgow is the one place in Scotland that felt different than the rest of the country. Perhaps more daring to take risk, which made it more engaging at the fast pace. A hybrid of Brooklyn, New York, Portland, Oregon, and Asheville, North Carolina. You need to look beyond the tracks and industrial buildings to discover the gems, but when you do, you will be glad you said yes to adventure in Glasgow.